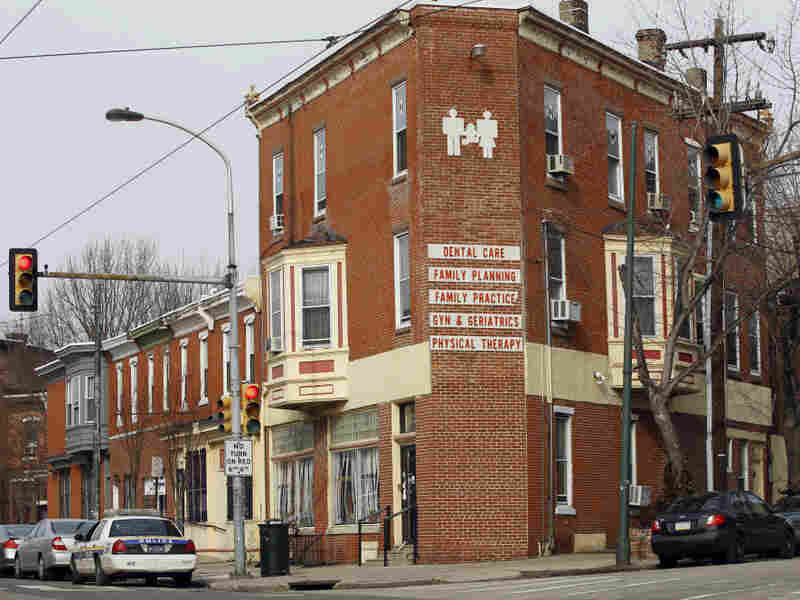 Murder Case Spotlights Abortion Clinic Rules In Philadelphia, a murder case involving a sordid abortion clinic is fueling debate over how clinics should be run. Several states are considering stricter regulations. Abortion rights groups say that could force some clinics to close and make abortions more expensive. Abortion doctor Kermit Gosnell catered to minorities, immigrants and poor women at the Women's Medical Society in Philadelphia. He was charged with eight counts of murder in the deaths of a patient and seven babies. A murder case involving a sordid Philadelphia abortion clinic is fueling debate about how clinics should be run, with several states considering stricter regulations. Abortion rights groups say that could force some clinics to close and make abortions more expensive. Ebony Behlin says five years ago she went to Kermit Gosnell's clinic in Philadelphia to get an abortion. The single mother had two children and says she couldn't afford to care for another. Back then, she says, she didn't see the filthy conditions described in a grand jury report. "When I went, it seemed clean to me," Behlin says. "I would have never went to no doctor's office that I didn't feel, you know, that wasn't sanitary enough for me. I don't know if procedures declined between then and now." The red brick building at 38th Street and Lancaster Avenue where the clinic was located is deserted now. Dead plants litter the window sill. A few sympathy cards are taped to the front door. The grand jury report says conditions inside the clinic were squalid, patients were over-sedated and the staff was unlicensed. The report says babies were born and then killed when Gosnell severed their spines with scissors. Philadelphia District Attorney Seth Williams charged Gosnell with eight counts of murder. "In my mind this is not about abortion," Williams says. "It's my job to prosecute these crimes because clearly it is a crime for children to be born live and then murdered." But the district attorney says he knew the case would fuel debate over abortion ... and it has. It's compelled some clinics to respond by opening their doors. Philadelphia Women's Center Executive Director Elizabeth Barnes says the Gosnell incident has resulted in a political attack on clinics. "Dr. Gosnell's clinic was illegal, and it is exactly what illegal abortion care looks like," she says. "And what we're hearing is a push for new regulations and we actually have a set of regulations in Pennsylvania that, had they been enforced, would have prevented Gosnell's office from staying open all these years and hurting so many people." Some abortion opponents in Pennsylvania and other states say the regulations, even if enforced, were not enough. Delaware, Maryland and Oklahoma are among the states looking into stricter regulations in the wake of the Gosnell incident. About a week ago, Virginia lawmakers passed a bill that requires most clinics to be regulated as ambulatory surgical centers. "Ambulatory surgical centers are places in which surgeries are being done in which a person doesn't need to stay overnight," says Daniel McConchie, with Americans United for Life. "And so we don't see that this is singling out abortion clinics in any way, but rather this is raising the standard of abortion clinics to meet those same standards that other surgical centers have to do in their state." But Vicki Saporta with the National Abortion Federation says these laws don't make abortion safer. "They regulate the width of hallways. In one situation, they actually required two separate restrooms for staff. What it does is increase costs and reduce the availability of services," she says. In 2004, Texas passed a law requiring clinics to meet surgical center standards if they perform abortions at 16 weeks or later. As a result, Saporta says, those procedures were not available for about a year in Texas, and the number of licensed providers fell from 20 in 2003 to just four by 2007. The number of providers also declined dramatically in South Carolina after that state passed a similar law. McConchie says there's even more commitment now to getting tighter restrictions approved. "I don't think that this is going to stop 'cause I don't think the Gosnell situation is going to disappear for awhile," he says. "He is going to go to trial and frankly, the horrific nature of what went on at his clinic is something that people just don't easily forget." Some anti-abortion activists in Philadelphia say they hope to raise money as a result of the Gosnell case — enough to buy his clinic and turn it into a crisis pregnancy center that would not offer abortion.